Yes!!! My favorite fighter in Ultimate Mortal Kombat 3 on the SNES. 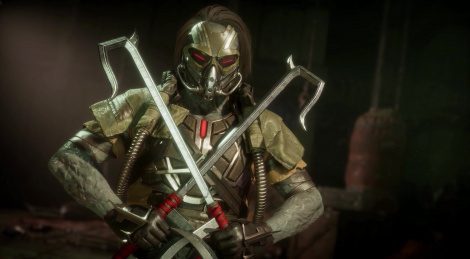 Hopefully he's as fun - most likely - and as OP - less likely - in Mortal Kombat 11. Ah, I sometimes miss the "golden age" of Fighting games, where they weren't so balanced as they are today. Nothing like a great OP fighter to make even the most rubbish of us feel like a champion. I remember Kabal being one of the "good guys" and went to check if I was getting senile, no yet, thankfully. NetherRealm Studios just likes changing his personality back and forth like they change clothes. Reminds me of Resident Evil lore and all the retconning through the years.